The La Quinta Inn Salem has been awarded the 2018 TripAdvisor Certificate of Excellence award, and has earned this award consistently over the last 5 years. The La Quinta Inn Roanoke Salem, VA is conveniently located just off Highway 419 (Electric Road), nestled in the Blue Ridge Mountains, just outside of Roanoke, VA. It has easy access to Interstate 81 (.3 miles) and the downtown areas of both Roanoke and Salem. Our hotel is centrally located near many local attractions and sports complex. Visit some of the area local attractions including; Hanging Rock Golf Club, Valley View Mall, Dixie Caverns, the Natural Bridge, bike and walking trails, Taubman Museum, Virginia Transportation Museum and much more. The La Quinta Inn Roanoke Salem is within close vicinity of the Salem Civic Center, Roanoke Civic Center and three major colleges, Roanoke College (1.8 miles) Hollins College (5 miles) and Virginia Tech (33 miles). 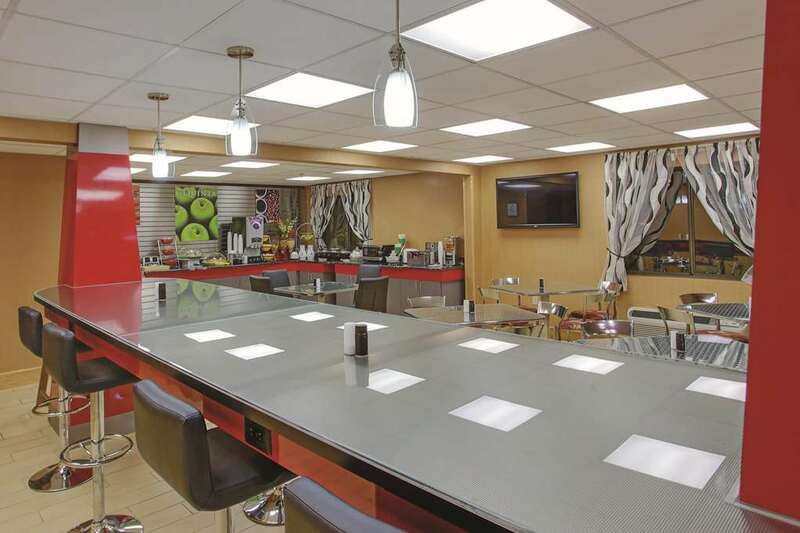 At La Quinta Inn Roanoke Salem, we know what is important to our corporate travelers. Stay productive in our fully equipped business center and make use of our complimentary Wi-Fi throughout the hotel. Join our rewarding La Quinta Returns program and enjoy rewards on your first stay. The hotel is centrally located to a variety of major companies such as, American Electric Power, General Electric, Merser, Yokohoma, Carter Machinery, Medeco, VA Medical Center, HCA Lewis Gale Hospital, Carillion Hospital and more. There are many great restaurants nearby or within a few miles of the hotel including Billy's Barn, Mac & Bob's, Macado's, IHOP (24 hours),Taaza Indian Cuisine, Blue Apron, Home Place, K & W Cafeteria, Applebee's, Olive Garden, El Rodeo, Szechuan Chinese, Mamma's Pizza and others. Wake up on the bright side with our daily breakfast featuring items such as belgian waffles, sausage gravy and biscuits, egg patties, sausage patties, muffins, assorted danish, yogurt, hot and cold cereals, fresh fruit along with coffee, juice and more.